Most of what I make starts with a recipe that someone else dreamed up. You will often see “Source:” at the bottom of my posts giving credit to where the recipe began. Often I will modify or adjust the recipe, but there is usually a source. This is not one of those recipes. When I went off to college, I went from Redondo Beach, California, to Columbus Ohio. Once there I was exposed to a new food, Buffalo wings. Back in the mid 80’s they were still relatively new and had not yet become popular on the West coast. Wings on Tuesday nights were 10 cents a piece and I quickly learned that my love for hot Mexican and Asian flavors translated well to the intense Buffalo wing flavors. I quickly found that I regularly collected my dimes for Tuesday nights. I was addicted. The other day I had a craving for some Buffalo chicken. The recipe below is the result. 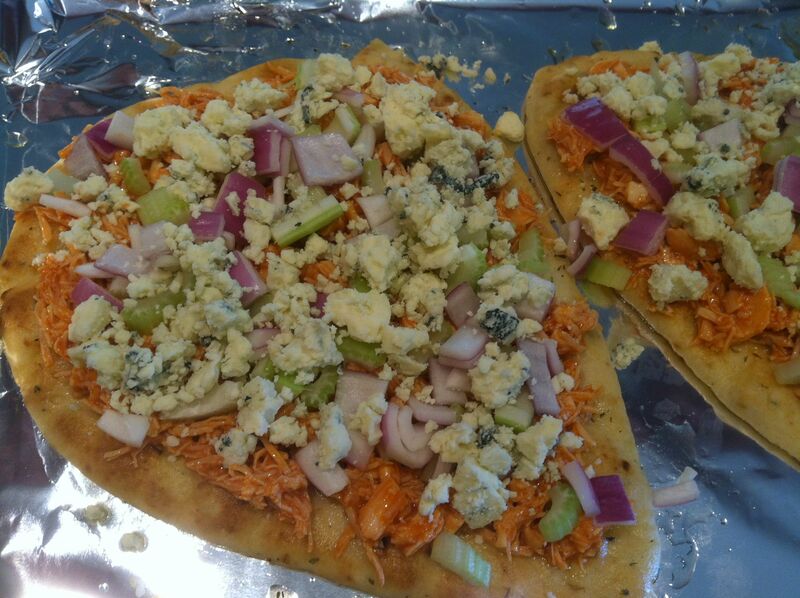 Buffalo sauce, canned chicken, blue cheese, red onions and celery. I walked the grocery store passing on various flat breads until I saw the naan. 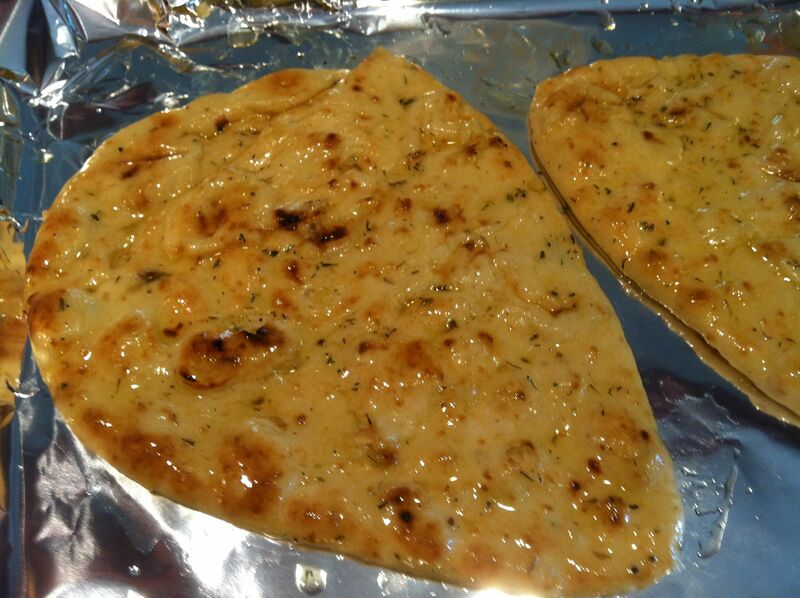 I coated the naan with some olive oil. Then mixed the chicken with buffalo sauce until well coated. 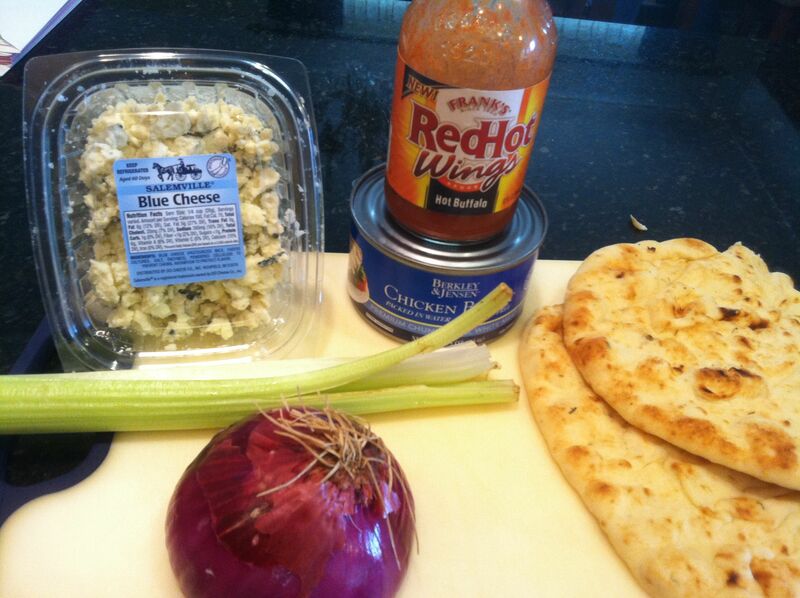 The chicken goes on the naan, then the diced onion and celery. 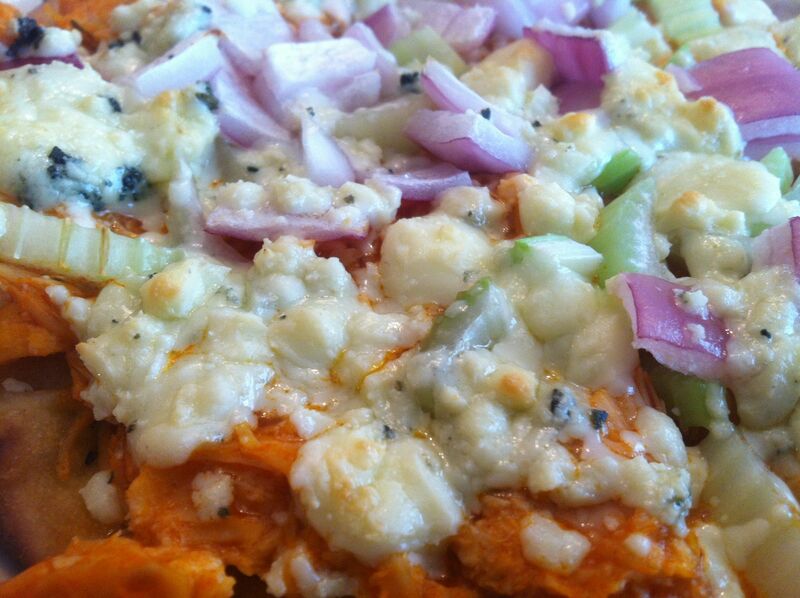 A fairly heavy coating of blue cheese on top. I baked the flat bread at 400 degrees for 6 minutes. Enough for the ingredients to get hot and the cheese to melt but not for the naan to burn.